31 years. It has been 31 years since the line “Come with me if you want to live” was first uttered on the silver screen. Sadly, I was too young to see the original on the big screen, but have watched it dozens upon dozens of times since. 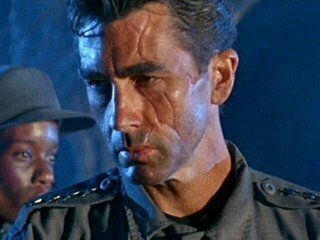 Terminator 2 came while I had one of my best summers ever, living in Virginia, and I had the joy of watching it 5 times in the theatre. Watched dozens of times since then. One of my best friends and I planned a judgement day party for August 29, 1997. I even made labels to put on sunblock labeled SPF 2,000,000 – you know so we didn’t have a bad day. I think you can safely assume I am a fan of the mythology and first two movies. I didn’t even hate Edward Furlong. 6 years after that, what do we get? Let’s start with a two writer script, though obvious credits are given to Gale Anne Hurd and James Cameron for the characters themselves. Laeta Kalogridis, who gave us screenplays for NightWatch (Timur Bembekov’s supernatural thriller) and Shutter Island. Patrick Lussier, he who gave us Dracula 2000 and Drive Angry. Both of these individuals, while having western films under their belt, also lean towards lower budget European films designed for international audiences. I don’t know that I would have picked them to try to reboot and reinvigorate this franchise considering their previous works; which, while I enjoy, are mostly low end popcorn fare or weak on the script but high on atmosphere. Much of these traits can be found here, the script is kinda weak and some of the dialogue is down right painful. Sarah is fine, the Terminator is fine, John is fine, Kyle is a walking travesty. Part of that goes to the casting director, Ronna Kress who needs a smack upside the head. I have no idea how a person who could cast Mad Max: Fury Road so perfectly could so screw up here. I have to assume studio interference. It is the only logical choice. The other part goes to the studio and director, Alan Taylor (who is best known for his season 2 Game of Thrones episodes). A better director may have gotten a better performance, but I doubt it; but perhaps he could have argued to have a better Kyle Reese. Yes. I am Guy Pearce. You are welcome. At least we had Jason Clarke and Emilia Clarke – no relation. While Jason Clarke doesn’t quite carry the beat to hell, hardened military commander that Michael Edwards did in T2 (his stare is bloody iconic). He does a good job at least making me believe he is Connor, a boy who knows the future to a certain point. I like Clarke as an actor with excellent performances in Zero Dark Thirty, Dawn of the Planet of the Apes, and even The Great Gatsby. My stare can kill a terminator at 1000 yards. I at least wear the scars better than Christian Bale. Emilia has probably the toughest role to play of all the cast. Going from the mother of Dragons to the Mother of the Resistance. She has to fill shoes left by the epic Linda Hamilton who gave us two startlingly amazing performances of a character at two different times in her life. Now, having just watched Terminator (1984), just now while writing this she clearly paid attention to Hamilton and her performance. She hit enunciation, body language, and even lip motions from the first film. While there are moments she over reacts and hits too much emotion for someone who is raised the way she is, overall I buy it. I know other reviewers are having trouble with her, but to be honest I think she did well. She didn’t have an easy job or good script, but did very well with what she did. While the writers clearly didn’t get Kyle, they did get Sarah and some of her reactions were spot on. I can’t finish talking about the cast without talking about Arnie. The role is like an old glove that he slipped into. He was on the mark 100%. He also could tell this film wasn’t great, but makes sure to let you know HE is enjoying himself. Honestly, this is the Arnie I miss. Even as a bloody cyborg he overshadowed almost everyone on screen with the weight and charisma of his performance. From a technicals standpoint? It suffers as so many movies do these days. It is too clean. Too polished. Their post-apocalypse is all shiny and chrome, with beautiful body armor and fashion models for soldiers. Even the current timeline they give us has the same problem. There’s no grit, no weight, and no atmosphere to this. Ultimately a lot of movies in the past decade suffer from this, where there is no atmospheric heart to help sell the movie and the world. It is just meh and you don’t care. The CG work on the Terminators has not improved since 1991. Thats right 24 years later and not only has it not improved – it got worse. The computer effects are just down right awful. Nothing is redeeming about them. Not a thing. There’s also not enough practical effects in the future scenes to make me buy it. 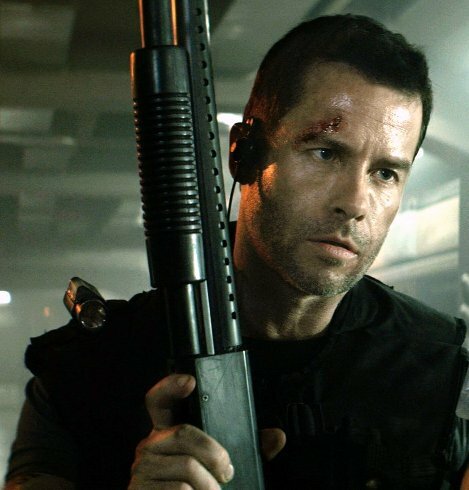 Both Terminator and Terminator 2 had just the right amount of practical to let me believe there was an HK rolling into position to kill Kyle. That a flying HK was moving overhead chasing our heroes was there. The only technical effect that works is the de-aged Arnie for the 1984 T-800. I liked it. I looked for flaws and nothing screamed at me, even as the reproduced the original shot from 1984. I want to hate this film. I really want to hate it. I can’t. I almost feel like I owe them an apology for lambasting them so badly before the film. It isn’t great. It doesn’t redeem the franchise in any way shape or form, but it is better than the last two laughable attempts at a movie with the Terminator name attached. I did laugh and enjoy all the callbacks to the original two movies, there’s plenty of lines there that will bring out the nostalgia factor, which did make me look more favorably on it. It felt like they were at least trying – even if they failed. I did care about Sarah at least. If you were curious – go in with low expectations. You will probably be entertained. If you need MST3k bait, it’s there if you need it. If you hate that it’s PG13 – you should. It doesn’t have any real power due to the MPAA. I will say that the 3D is pointless and even the XD sound system was wasted without the original theme playing at epic levels of volume. All in all – if you don’t want to see Jurassic World again this weekend and aren’t saving up for Ant-Man – go ahead. You probably will find yourself enjoying the nostalgia factor at least. It is at least fun. Pixels is also coming out, but I am debating this…will probably boycott to avoid giving Adam Sandler and his problematic productions money. Emelia Clarke seems to be a good Sarah Connor. I don’t mind the concept of the timeline being altered in this way. It should bother me, but doesn’t. Jai Courtney still doesn’t work for me at all, much less as Kyle Reese. He just fails. Michael Beihn felt like a solider who had been fighting a very long long time. Courtney still looks like an Abercrombie model. 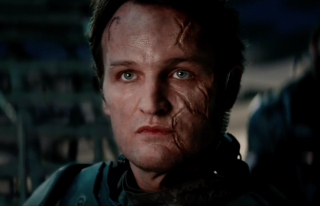 Jason Clarke is close enough to the older John Connor. I can buy him as the leader who has seen too much.